Carter grew up in Prior Lake, Minnesota, a little south of the Twin Cities. He received his B.S. from the Iowa State University, majoring in Materials Engineering, minoring in Math Economics. There he worked on the characterization of both oxide and sulfide glasses for use as solid state electrolytes in sodium battery systems. In the summer of 2016, Carter worked as a foreign scholar at the Münster Electrochemical Energy Technology (MEET) building in Münster Germany. There he worked characterizing and producing gel polymer electrolytes with ceramic inclusions. 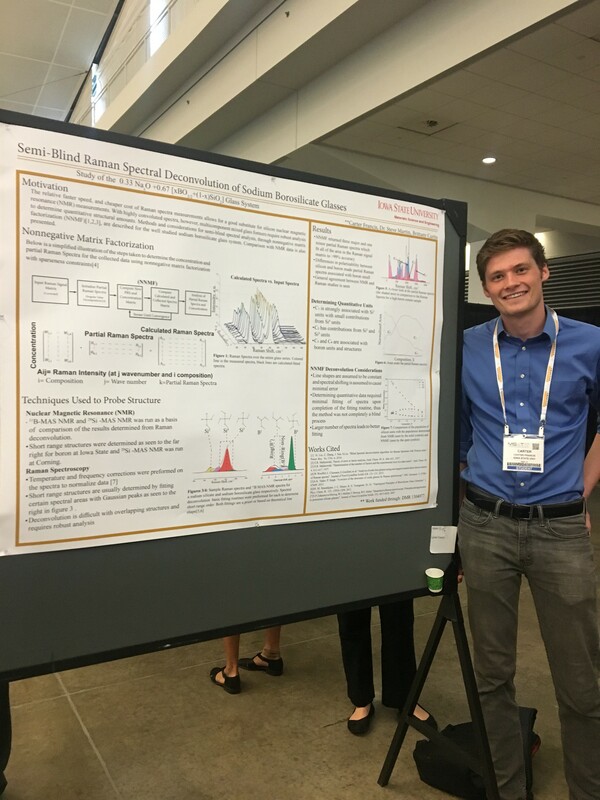 Carter is a graduate student at the University of Wisconsin-Madison working as a research assistant in Prof. Paul Voyles’ group. Machine learning approaches to glass characterization/ prediction and understanding the fundamentals of the glass transition.